The GOTV Plus Package has so many channels it is impossible to sample them all. Most moms just pick a couple that they like and never watch the rest. In this post we Iook at the GOTV channels you should check out as a Kenyan mom and why. Africa Magic Family: Owned by M-net, Africa Magic Channels are known for their African movies, TV shows and general entertainment. Africa Magic Family is Nollywood all the way. Africa Magic Epic: Another channel with an unlimited amount of African movies especially Nigerian ones. Africa Magic World: This channel has African television shows and stuff. Movies Zone: I like this one. It has movies back to back. The greatest thing is that there are no commercial breaks. You enjoy your movie uninterrupted. Telemundo: Telemundo is owned by the NBC Universal Television Group. It is the home to Hispanic and Latino telenovelas and Soaps. If you are a fan, woe unto you because you will never leave your couch. E!Entertainment: This channel is owned by NBC Universal cable. It is a fun and entertaining channel. It has gossip, entertainment news, reality television shows, red carpet events and much more. If you would like to know what is happening in the entertainment world, then this is the channel for you. SET: Sony Entertainment Television is one of my favourite channels. It has great comedy series like Friends, One on One, Girlfriends and Reality Talk Shows like Trisha, Baggage and The Test. Nickelodeon: Nickelodeon is a kids channel. It is however a little sophisticated and therefore for an older kid to teens. It also has great comedy series that the entire family can enjoy. ED: It has informative programs like the sexual and mental healthy which are great for men and women. Remember that like with other services, you can just pay for your GOTV bill through your phone. You just need your IUC number and GOTV Paybill and you are ready to go. I cant find the Trisha program to watch any longer on SET. Has Trisha changed the station for presenting or has she retired? 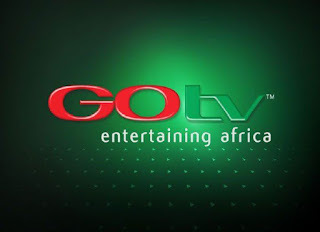 Please I really love the program and would love to know why its no longer showing on the SET station on Gotv. Thank you. Programs come and go. It might come back some day, it might not. For now you can try out the Test and see whether you'd like it. My account reads -1100 what does this mean? how do you clear error codes without your remote??? I have already Paid on account 4620929260 but has not yet….why??? if I HV not subscribe my recorder only gives one channel, why and other recorders like startimes gives a good number of channels free to air especially local channels. I think you should also upgrade. I am in Kenya only watching KBC CHANNEL. I think I need to go for another decorder.